Maths Award - Hallie for super work with finding change using the counting on method on a number line. We have been working on counting the next ten and then counting in 10's until we reach our target. Golden Award - Lennon for making a real effort in all areas of his work. Your work is really starting to pay off...keep it up! Writing Award - Brodie for being a star writer. Brodie's writing is always a leasure to read due to the vocabulary she uses and the engaging way in which she writes. well done Brodie! English - we have been focusing on our use of adjectives to describe a characters feelings. we have then used all these adjectives in our own story about an imaginary friend. Encourage your child to spot adjectives in the books they are reading. The children's writing must contain full stops, capital letters, neat handwriting and correct spelling of common exception words. Maths - this week we have been recapping our subtraction methods as this was one of the things the children found tricky in last week's quiz. We have looked at how to use exchanging in our drawings. We ended the week by using subtraction to answer word problems. Science - we finished off our Healthy Eating topic by looking at the importance of exercise. Please note that the Life Bus is in school next week and our sessions will support this Science unit of work. RE - in our Eastertide topic we have been thinking about how the disciples felt when they saw Jesus again and how Thomas found it difficult to believe. 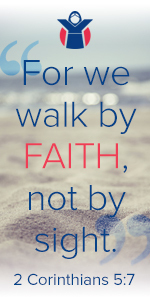 We have talked about how if can be difficult to believe in things we can't see, but this is where our faith comes in. Planting - we finally got a bit of good weather this week so we got our potatoes planted! The children had a wonderful time and hopefully we should have a good crop of Charlotte potatoes by mid June! Take a look at the pictures. Work at work - reading everyday please.Please take a look at Wednesday's post to see how you can support your child at home in English and Maths and the children brought home their second Maths quiz this week - all the children were pleased that they did better than last week! Well done!